What makes managing systemd logs so challenging? In large organizations, administrators overlook multiple Linux distros, and managing logs from all these systems can be challenging. A self-hosted setup for centralized logging requires a significant investment of time and resources. While systemd journal centralizes all the log data in Linux systems, it maintains data in the form of a binary file. External systemd log viewers can help analyze these logs, but require complex configuration. Teams often have to juggle between multiple tools to analyze the logs. This can severely hamper their troubleshooting experience. Also, it is not easy to configure multiple tools for log monitoring and reporting. SolarWinds® Loggly® is a cloud-based log management service that helps you centrally manage all your logs and simplifies systemd remote logging; you can access and analyze all your logs over a web browser. Unlike other logging systems, sending logs to Loggly doesn’t require elaborate configuration as you can use your default syslog daemon for the purpose. With all your OS and application log entries in one place, you don’t have to shuffle between multiple files. With Loggly, you can get higher data volumes and log retention rates at a lower TCO, compared to a similar self-managed setup. Also, when logs get past their retention period, Loggly automatically archives them to AWS S3 buckets for compliance or other purposes. Loggly expedites systemd logging by automatically parsing all incoming logs. This not only reduces manual efforts, but enables Loggly to provide near-instant results to your search queries. Loggly also presents a structured summary of all your parsed logs in its Dynamic Field Explorer. 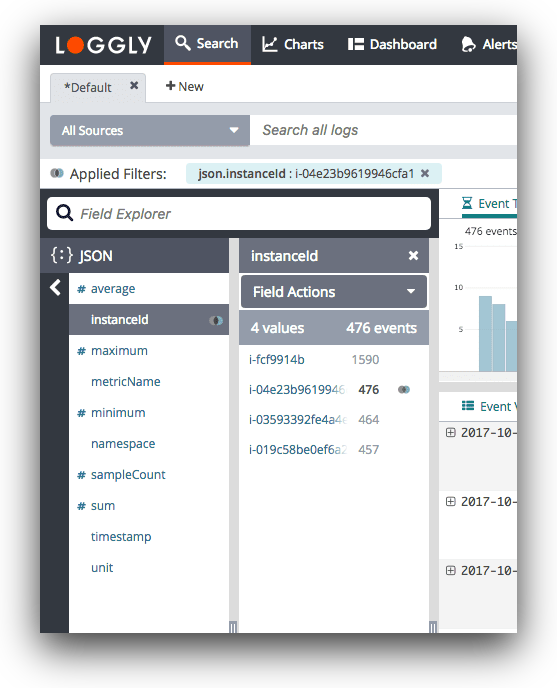 This explorer offers a highly intuitive interface so you can click and browse through the logs and find the most common events and anomalies, without typing multiple search queries. With real-time navigable summaries at your fingertips, you can troubleshoot faster. To further enhance real-time monitoring, Loggly also provides a live tail feature that offers similar functionality to the classic tail -f command in Linux. Loggly helps you pinpoint issues and cross the dots across your log data using interactive charts and dashboards. These dashboards can incorporate charts with data from many sources. Also, you can choose between multiple chart types to get a better understanding of your logs. All these charts can be synced to a particular time frame with a single click. The surround search feature can help you analyze events closer to the event of your interest. The dashboards can be displayed on large screens in your command center, or you can choose to download them as PNG images and share them with team members.